Southwest Florida Water Management District will release the findings of its most recent aerial surveys of Sarasota Bay seagrass in mid September. The surveys are part of the District's Surface Water Improvement and Management (SWIM) Program, which focuses on water quality improvement and habitat restoration in priority waterbodies including Sarasota Bay. SBEP will send an update about the survey results when the information is officially released. Visit Sarasota Bay Today to read an interview with Senior Environmental Scientist Kris Kaufman focused on the SWIM Program. 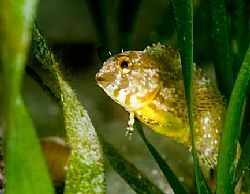 SBEP and its partners continue to devote resources to enhance seagrass monitoring, most recently through its support of Dr. Mary Christman with MCC Statistical Consulting and Dr. Kellie Dixon with Mote Marine Laboratory.